Modern and sophisticated, the Fred Chandelier features a sleek branch-like structure in steel finish with glass orbs suspended from it. 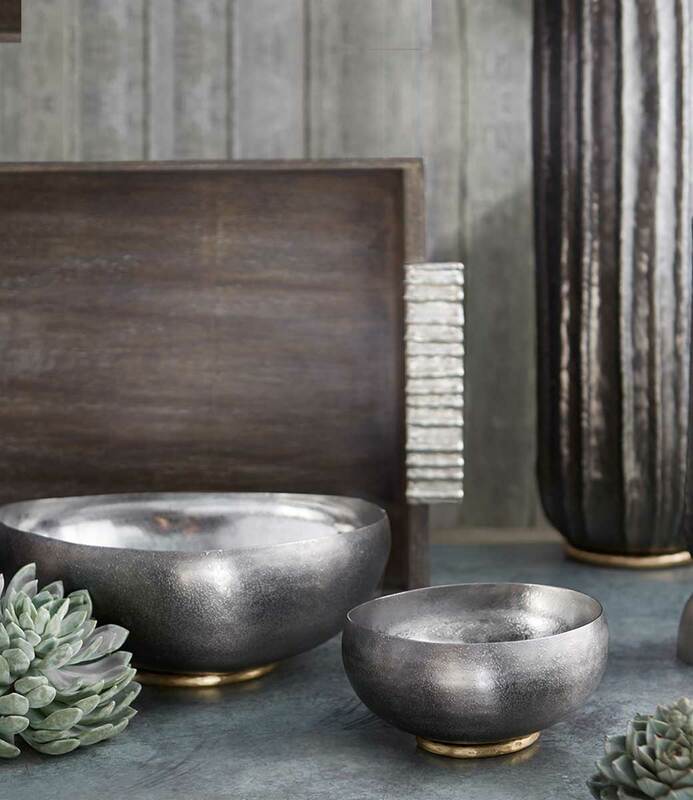 The glass orbs have a perfectly smooth exterior surface that features gradually thickening bands delicately crafted by artisans to add a visual element. 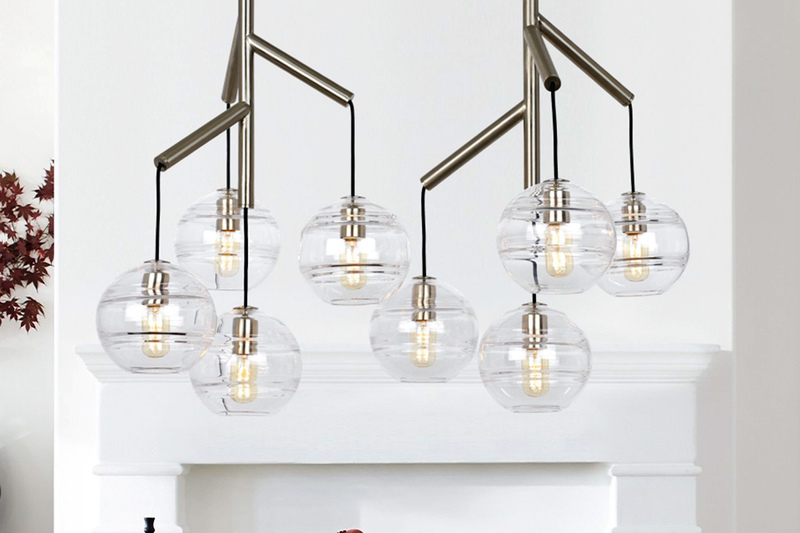 This functional yet decorative chandelier is ideal above a dining table.